Richard began his singing career as a six-year-old soprano in Sunday school in his native Camden, New Jersey. He was a tenor in the glee club in seventh grade, but when he returned for eighth grade in the fall, he was a bass! Prior to joining The Oak Ridge Boys in 1972, Richard sang with various groups, eventually joining J.D. Sumner and the Stamps Quartet, which afforded him the opportunity of a lifetime—the chance to sing with Elvis, the King of Rock and Roll, singing with him every night on stage, recording with him, and appearing in one of his movies (Elvis on Tour). It was during this time in the midst of Elvis’ heyday that Richard was offered the position as bass singer for The Oak Ridge Boys, and he had to make a major decision—remain on the big stage or chase his own dream. This period of Richard’s life is covered in detail in his book, From Elvis to Elvira, co-written with Steven Robinson. The book includes many great Elvis stories and stories about The Oak Ridge Boys that have never been told. Baseball has also been a longtime passion for Richard. For many years, as a part owner of the Nashville Sounds (Milwaukee Brewers AAA club), he attended spring training and took bus trips with the team. He now serves as the team’s “official ambassador,” attends games when he is in town during the season, and often does color commentary. A long-time fan of the Vanderbilt Commodores, he also does color commentary for the school’s baseball team. Richard’s well-tailored clothing reveals one of his other loves. He also enjoys fine restaurants, collecting wine, and traveling—particularly to the seashore, where he likes sailing and snorkeling. A fitness buff, he has a bicycle at home and keeps another stowed in a bay under the tour bus. He even has a case so he can check a bicycle aboard airplanes. Because of his longstanding interest in weather (he enjoys watching the Weather Channel! ), a few years ago Richard recorded public service announcements for the National Oceanic and Atmospheric Administration (NOAA) weather radio network, which is the “voice” of the National Weather Service. Richard is also the “voice” for the Classic Country channel on Sirius Satellite Radio. He and his wife, Donna, have two daughters living at home, Lauren and Tori. He also has three older sons, Rich, Doug, and Chris, as well as five grandchildren. 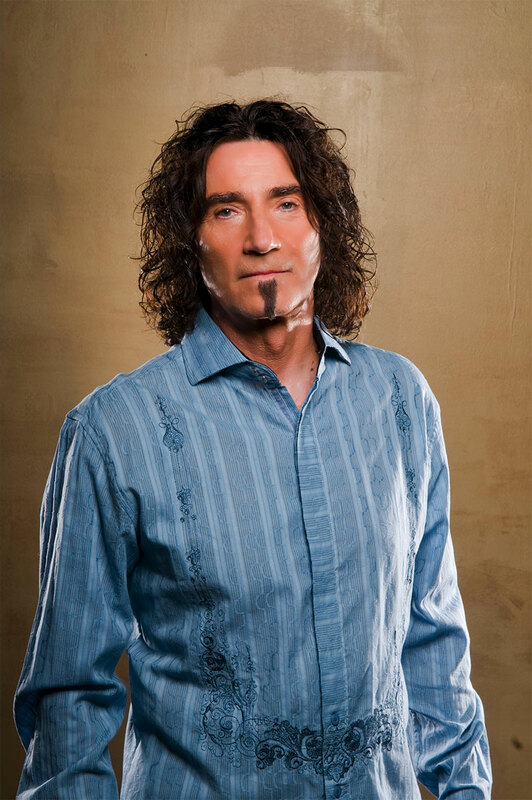 Richard’s personal website is located at www.richardsterban.com.